Tags are a convenient way to organize your videos. Say you have a video of your dog Sparky playing in the lake. 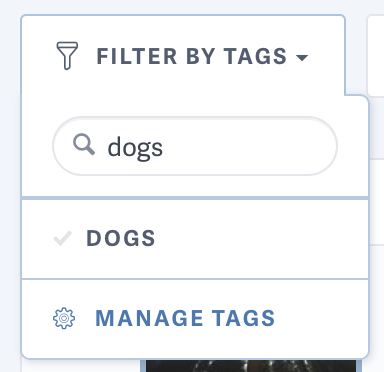 You could tag it with “lake” and you could also tag it with “dog.” You can then use the “dog” Tag for any videos in your account that have Sparky in it. You can use the “lake” Tag for any videos you shot while you were at the lake. If you have any questions about Tags, please email support@sproutvideo.com and we would be happy to help you out.